An algorithm is a formula representing the relationship between certain variables. Think of algorithms as a simple set of instructions with a finite end designed to produce an output. An every day example of an algorithm is a recipe. You have a set amount of inputs (ingredients) designed to produce a repeatable output - apple pie, for example. Machine learning programs in AI use algorithms to make predictions, and in the case of marketing, suggestions are based on algorithms that hope to target the user’s specific preferences (if website visitor 'A' visits pages for kid's short sleeve shirts an algorithm will email them coupons for kid's short sleeve shirts). A chatbot is a program that runs within websites and apps that interacts directly with users to help them with simple tasks. A “conversation” happens between the user and the computer program. These are often currently used for customer support, but the applications for chat bots are growing. This form of machine learning does not function independently, but requires human input. Data is presented into the machine and the process is supervised by a person while the computer works toward a specific outcome. Many of these terms are related and overlapping. It's important to be familiar with them to understand how these technologies can affect your marketing mix. 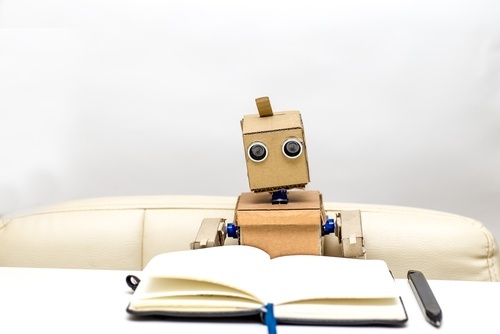 A great resource for AI in the marketing realm is Paul Roetzer's Marketing Artificial Intelligence Institute (MAII) - unbeatable content for learning and seeing real world examples of AI in action.